Includes the names: D. Wordsworth, Dorothy Wordsworth. Dorothy Wordsworth, one of five children and the only daughter of John Wordsworth, an attorney, and his wife Anne, was the younger sister of the Romantic poet William Wordsworth. After their parents died young, the siblings were sent to live with various relatives. Dorothy managed to reunite with William and after that they were inseparable companions for the rest of their lives, even after his marriage in 1802. Dorothy never married and was considered an invalid after a serious illness in 1829. However, she had previously travelled with William to Scotland, the Isle of Man, and to Europe, which she greatly enjoyed, and was a faithful diarist. Dorothy's now-famous Grasmere Journal eloquently describes her everyday life in the Lake District, long walks in the countryside with her brother, and detailed portraits of their literary friends, including Samuel Taylor Coleridge, Sir Walter Scott, Charles Lamb, and Robert Southey. Among her other prose works was a travel account called Recollections of a Tour Made in Scotland AD 1803, published posthumously in 1874. 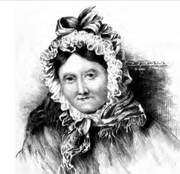 The Economist, "Woman on the Edge"
Dorothy Wordsworth is currently considered a "single author." If one or more works are by a distinct, homonymous authors, go ahead and split the author. Dorothy Wordsworth is composed of 3 names. You can examine and separate out names.